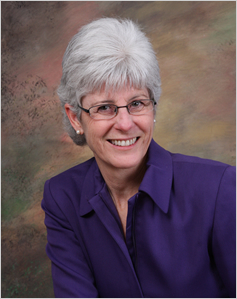 Anne Bachle Fifer, J.D., graduated from the University of Michigan Law School in 1983 and is a licensed attorney practicing in Grand Rapids as a mediator, arbitrator, and mediation trainer. Her mediation experience includes business contracts, workplace disputes in commercial, university, and non-profit settings, estates and other probate matters, employment discrimination, homebuyer/home-seller contracts, disputes in child protective cases, marriage and divorce, as well as church-based conflicts integrating Christian principles into the mediation process. She is an approved mediator listed on Kent County Circuit Court's general civil mediator roster. Her arbitration experience includes estates, homebuyer/home-seller disputes, and other commercial disputes. Anne has long been affiliated with Peacemaker Ministries, an international organization dedicated to helping Christians and churches resolve disputes biblically, and now serves on its Board of Directors. She has long provided training and casework for the Institute for Christian Conciliation, now operated by ICC Peace. She was the executive director of the Christian Conciliation Service of Central Michigan 1987-1995, and served on the board of directors of the Association of Christian Conciliation Services, forerunner of the Institute for Christian Conciliation of Peacemaker Ministries, 1989-1993. Michigan's most experienced general civil mediation trainer, she regularly leads 40-hour mediation training courses through Michigan's Institute of Continuing Legal Education and for other organizations, as well as advanced mediation trainings throughout Michigan. She is a regular presenter at the Equal Employment Opportunity Commission's annual EXCEL Conference, and has conducted workshops for the Michigan Judicial Institute and other organizations. She teaches Christian peacemaking in businesses, churches, and educational institutions, and has taught courses in biblical principles of conflict resolution in churches for both youth and adults, and for Christian organizations around the U.S., in Mexico, Europe, Asia and Africa. She is frequently appointed to state committees convened to improve ADR in Michigan, such as committees to revise the ADR Court Rules; to develop the court rule on confidentiality in mediation; and to produce Michigan's ground-breaking Standards of Conduct for Mediators. For over 10 years she was an adjunct faculty member of Trinity Seminary, Newburgh, Indiana, teaching courses in Christian Mediation and Managing Conflict, and was an adjunct professor of ADR at Thomas M. Cooley Law School, Lansing, Michigan, 1992-1999. She has been a guardian ad litem in child protective cases, and now volunteers with Christian Legal Ministries, a program of Mel Trotter Ministries, an inner-city mission in Grand Rapids. She is a member of the Christian Legal Society, the State Bar of Michigan and its ADR Section, and the Grand Rapids Bar Association and its ADR Section. She has served on the State Bar ADR Section Council, Kent County Circuit Court's ADR Oversight Committee, and the boards of Urban Transformation Ministries and the Creston Neighborhood Association. She has been a volunteer mediator in Michigan's Community Dispute Resolution Program since 1990, and served two terms on the board of the Dispute Resolution Center of West Michigan, including three years as board president. Anne received the Distinguished Service Award from the State Bar of Michigan's ADR Section in 2011 for her contributions to the field of ADR. She has been listed annually in “Best Lawyers in America®” in the field of ADR since 2013. She received the Neighbor of the Year Award in 2003 from the Creston Neighborhood Association. Anne and her husband Mark live in Grand Rapids and are members of Berean Baptist Church.